As a chiropractor located in Escondido, Dr. Brunton's goal is to provide superior health care to North County, combined with caring personal attention so each patient may enjoy their favorite activities pain-free. With 25 + years of state of the art education and experience, Dr. Brunton is the only chiropractor in San Diego County trained in all 3 of the top leading and most researched chiropractic methods available: Activator (AM), Active Release Techniques (ART), and Chiropractic Biophysics (CBP). CBP emphasizes optimal posture and spinal alignment through the structural rehabilitation of the spine and posture. Often used in the chiropractic treatment of scoliosis, CBP can be used as part of a comprehensive treatment plan for many conditions and goals including improved range of motion and muscle strength. 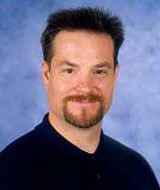 Dr. Brunton is one of only three chiropractors certified and having a fellowship in CBP in San Diego. Whether you are seeking treatment for scoliosis, whiplash, accident injury, work place injury, or simply seeking optimal function for daily living, call Dr. Brunton today to learn what treatment plans are best for you. Dr. Brunton has successfully treated thousands of patients experiencing pain from workplace, auto accident, and sports injuries. Two out of three of Dr. Brunton's patients are referred to him by one of his many satisfied patients. Dr. Brunton's practice is results driven, and as a recognized and trusted name in North County, he receives regular referrals from some of the top doctors in the country (neurosurgeons, orthopedic surgeons, etc). To learn more about how contemporary chiropractic care and treatment can help you and your specific health problem call, for your appointment today.